The following programs and events are designed to help strengthen marriages by fostering an authentic Catholic understanding of marriage, human sexuality, and family life. Couples counseling is a valuable opportunity for couples who want to build a healthy and long-lasting relationship. It can be a worthwhile investment for the long-term, providing couples with the skills and strategies they need to manage life together in a healthy way. Couples counseling is not just for unhappy couples; it can be a valuable addition to any relationship since it gives each person involved fundamental tools and healthy coping strategies to manage their communication, show respect for each other, and grow in healthy ways. The Marriage Missionaries are a Catholic couple-to-couple mentoring program designed to invite couples to live out God’s plan for marriage. It focuses on the tools needed to live his plan and on equipping couples to be able to pass on what they learned, first to their own children, and then to other couples. These day retreats are held on an ongoing basis throughout all of Northern Colorado. They are facilitated by trained therapists from Sacred Heart Counseling and St. Raphael Counseling as well as the co-founders of the Marriage Missionaries program, Matt & Mindy Dalton. Childcare is provided. Take your marriage from good to great. Worldwide Marriage Encounter offers a weekend experience designed to give married couples the opportunity to learn a technique of loving communication that they can use for the rest of their lives. Marriage Encounter is not a retreat, marriage clinic, group sensitivity, or a substitute for counseling. It’s a unique approach aimed at revitalizing marriages. This is an entire weekend for you and your spouse to be alone together, to rediscover each other and focus on your relationship with each other and God. St. Elizabeth Ann Seton Marriage Retreat. Additional presentations include: “Personal and Couple Prayer” by Deacon Robert Lanciotti, “Passing on the Faith to Children and Grandchildren” by Deacon David Peverley, “Appreciating the Gifts in Each Other” by Deacon Don Weiss, and “Growing your Marriage and Keeping it Alive” by Deacon Jerome and Brenda Kraft. 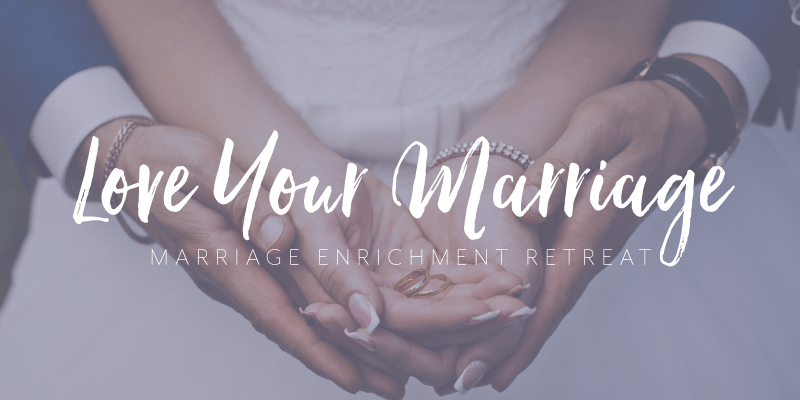 The Marriage Course is a series of seven parish-based sessions for couples who are seeking to strengthen their relationship. Some couples do the course to intentionally invest in their relationship, others are looking to address more specific challenges. Either way, the course offers essential tools and practical ideas to help you build a relationship that lasts a lifetime. The sessions center around enjoying a special meal with other couples, listening to a talk and then discussing the topic as a couple. Childcare is provided. To see if there is a Marriage Course being hosted near you go to themarriagecourses.org. Developed by the Augustine Institute as a 12-session series, Beloved explores the true meaning of marriage and how to live it out as a couple. Discover the deepest spiritual, emotional and practical realities of marriage through Scripture, and Tradition. See first-hand how to experience the wonder, mystery and joy of this Sacrament – from that first “I do” to the rest of your lives.